I love when the simplest solution really is the best—like this handy trick for how to polish a stainless steel sink. There’s nothing more cringe-worthy than passing by a sink covered in water spots or stains—both of which stared me straight in the face this morning as I made my coffee. 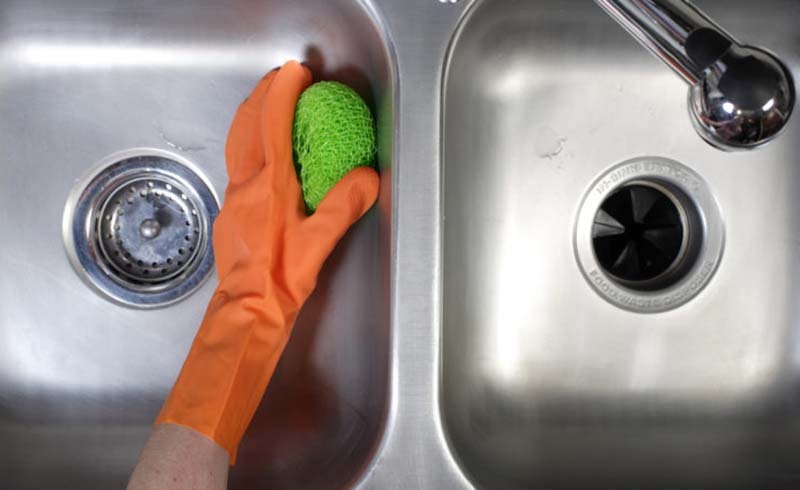 It might seem like a low-priority cleaning task, but it’s worth learning how to polish a stainless steel sink so that these types of smudges won’t taunt you every time you wash a dish. And believe it or not, there’s a simple cleaning hack you can master that makes polishing it a total breeze. It just requires just one (yes, one!) pantry ingredient you definitely have. Honestly, I love my stainless steel sinks. They’re pretty. They’re sturdy. And most importantly, they can be super shiny, especially if you give them a good polish every now and then. While your houseguests might not pull you aside and ask your secret to a shiny sink (though I’m holding out hope they might), they’ll definitely get the impression of a well-kept kitchen. Still, cleaning a stainless steel sink doesn’t just preserve its good looks. It also helps prevent corrosion, keeping the surface in its best possible condition. 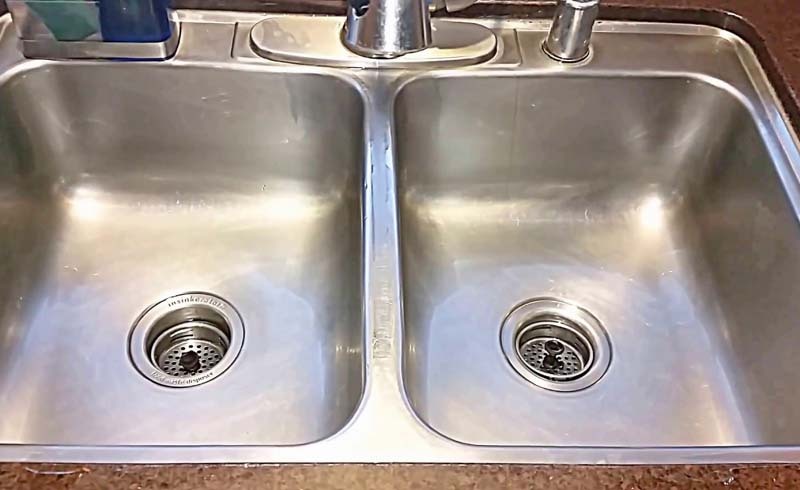 What’s the Best Way to Polish a Stainless Steel Sink? Spoiler alert—there’s not a whole lot of elbow grease involved. And you certainly don’t need to spend a ton of money on polishing products to get the job done. (We’re all about DIY cleaning.) You’ll need flour, a soft cloth and warm, soapy water for optimal results. Not to be a downer, but you do have to start with a clean sink. Wash it with warm water and dish soap. Dry the sink with a kitchen towel (yes, even the drain top and sides). Now, for the oddly fun part—sprinkle flour all over your sink, until a thick amount is covering the whole surface. Then, buff the flour into the sink using a soft cloth—and enjoy the satisfying disappearance of stains, spots and food particles. Being a neat freak by nature, I couldn’t resist trying this cleaning DIY myself. Not only did I have all of the supplies needed, but my poor, long-suffering stainless steel sink had honestly not received any TLC in a while. After cleaning the sink, I made sure to dry it off fully—I could foresee chunks of flour building up in the near future if it wasn’t completely dry, so I took my time with this step. Once the sink was fully dry, I had some second thoughts about sprinkling on the flour. Honestly, it seemed a little counterproductive to me at first. But after the flour was set and I got to work buffing it with a cloth, I did see the sparkling and shiny results almost instantly. Success!